Choosing a new boiler, whether that’s in your home or in a commercial premises, can be difficult, and the options available to you can seem bewildering. 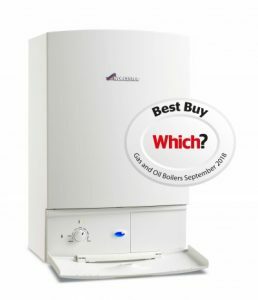 However, investing a little time in understanding the differences between combi, regular and system boilers will not only ensure you choose the right type but it may also save you money in the long run. There is not a one size fits all model, so in this guide, we talk through the benefits of each type of boiler to ensure you make the right choice. What are the differences between Combi, Regular and System boilers? Central heating technology has progressed massively in the last few years and there is now a choice of three types of boiler available on the market; Combi, Regular and System boilers. Combi Boilers are the most popular choice of boiler in the U.K. due to their small and compact size and they are very quick and easy to install. They don’t require any other additional components which saves on space in your home. Key Features: Water is heated directly from the mains rather than a hot water cylinder which leads to instant hot water at any given time. Due to water being delivered from mains pressure this allow the user to have a very powerful shower. Best for: Small and Medium Homes that don’t need many taps running at the same time. Not so good for: They may not be the best choice for larger families when water from multiple outlets such as the shower and the kitchen tap is used at the same time. System boilers are a good choice in homes that may need to have a constant supply of water to more than one outlet at a time. They are self-contained units so still have the advantage of being quick and easy to install. Key Features: Water is heated in a hot cylinder which allows there to be a constant supply of hot water to a different water sources at any one time. They are highly economical and can save you money on your energy bills whilst still delivering water at a high pressure from the mains. Better for: Larger homes with bigger demands such as having more than one bathroom. Example: Find out more about the The Greenstar i System Boiler to see if a system boiler is the right choice for your home. Regular boilers, otherwise known as the traditional or conventional boiler, are the best choice if you have multiple water outlets to be used at one time. They are compatible with older hot water systems that may not have the ability to cope with high water pressure that comes from modern combi boilers. Key Features: If a large amount of hot water is needed, a regular boiler can supply instant hot water to multiple outlets with a strong flow rate. Separate hot and cold water storage tanks are needed so additional space in your home is needed. Regular boilers can further reduce energy bills by being compatible with solar systems where energy comes from the sun. Best for: Larger homes with two or more bathrooms or homes that may have additional en-suites. They are also suitable for areas of low pressure. 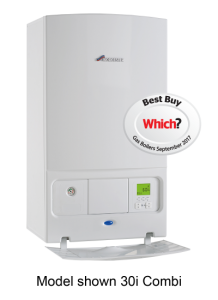 Example: The Greenstar Ri Regular is the perfect choice if you require a regular boiler to be installed within your home. 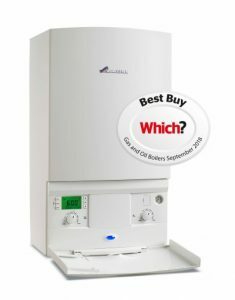 Whether you’re upgrading your current system or looking for a completely new boiler, it is important to understand the options available to you when it comes to boiler installation. In a domestic environment, the condition of pipework needs to be considered along with where the new boiler will be installed. Contact Buxton Heating to discuss your domestic boiler installation requirements and ensure you receive the most cost-effective solution for your home. For significantly larger homes and businesses, a commercial boiler may be required. Installation of commercial boilers requires heating companies to hold an extra qualification to ensure the highest quality of finish in your work or home. Get in touch with Buxton Heating today to discuss your commercial boiler installation needs.